Your home search ends here! Check out this fantastic opportunity to own a home that sits on the La Mesa / Flethcer Hills border. 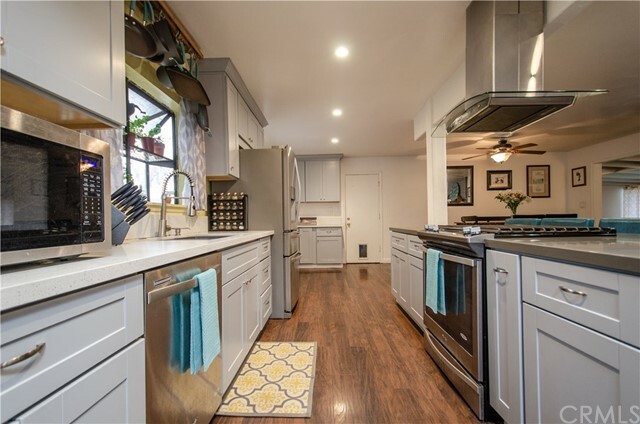 This 3bedroom /2 bathroom has an open floor plan, a beautifully upgraded kitchen with quartz countertops, stainless steel appliances, large island and everything you could ever want. This home is a corner lot with Separate RV / Boat parking area. Large permitted family room addition. Large Party Pool, Jacuzzi, outdoor shower, covered patio and BBQ Area. Solar panels for the home and pool. Newer roof and rain gutters installed. Conveniently close to 125 & 8 Freeways. Come check out all that this home has to offer.